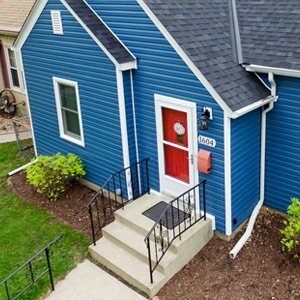 If you live in or around the Twin Cities metro area in Minneapolis area and are looking for a high quality construction company, at Snap Construction we are available for your next roofing, siding, windows, insulation, decks, and storm damage restoration projects. We are a full service construction company that works on residential and commercial projects. Some of the jobs that we do include roofing, siding, windows, insulation, decks, remodeling and storm damage restoration. If there is something that hasn’t been mentioned and you are curious if we do it or not, give us a call to discuss the project details. We have some of the best rubber roofing contractors in Minneapolis, and the positive reviews from satisfied customers speak for themselves. We work with only the highest quality materials and give our all to every job put in front of us. Despite this, we still strive to give you the best price possible for our services. – Construction is something that we really care about; it’s not just a job but something that we do to make people’s lives better. The owner founded Snap Construction with a passion over 10 years ago and we all still have that passion. We believe this is something that really makes us stand out from other companies who are purely focused on making money. We see our customers as people with needs to meet, rather than people to get money from. – We can give you an instant quote based on what you need, with no obligation on your end. You can decide if our quoted price for the work is something you are happy with and if it is, we can go to the next step in the process. – Our staff is fully qualified but also friendly from start to finish. From the second you meet our field representatives to the second the construction job is complete at your home/business, we will give you efficient service with a smile. Our phones are open 24 hours a day so if you have any issues or questions before, during or after the job – you are guaranteed a quick response. – The fact that we do so many different construction jobs is an advantage; there is no end to our skills! While some companies might only work on roofing, insulation, restoration and so on – we do it all! – We have many finance options available to our customers. If you need a lot of work done but can’t afford to pay for it all at once, we will figure out a monthly payment that works for your financial situation. The business was established in 2007. We established a solid team and have a Lifetime Craftsmanship Guarantee. Manufacturers of the materials and brands we use regularly have also given us exclusive product warranties. We have earned an award titled the “Angie’s List Multiple Super Service Award Winning Contractor”. There are many positive reviews online from customers who were pleased with our work. All of this and more is what makes us the best rubber roofing contractors in Minneapolis. 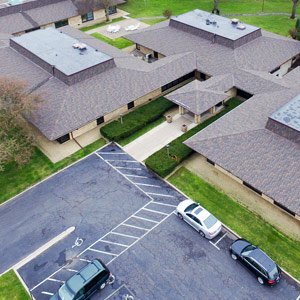 Now that you know more about Snap Construction and you can see the benefits that we offer to customers, give us a call to see how we can make your rubber roofing service the best it can be. With years of experience in all areas of construction, satisfied customers and a committed team – we are definitely the right company for any job in the Twin Cities. Browse here to get more information on Hire Roofing Companies in Bloomington MN.